Hang on for a Wild Ride! Venus Transit, Lunar Eclipse & more! If last month’s new moon solar eclipse on May 20,2012 didn’t stir up enough energy to wake you up, the cosmic events in June surely will! Hang on for a wild ride as we experience a significant and powerful time. This month will be transformational as we raise our consciousness and feel the effects of the energy of a full moon lunar eclipse, Venus transit (one of the rarest planetary alignments) and towards the end of the month Venus will turn direct after being in retrograde since May. The lunar eclipse is on June 4, 2012. If your emotions are swinging like a pendulum and you’re feeling a bit bi-polar the eclipses might be the cause. Eclipses bring heightened emotions and represent light and darkness. You may very well find answers to questions you’ve asked for a long time. This is a powerful time which you can use to your advantage for personal growth! “Eclipses demand progress, so if you had hoped to keep to the status quo, that won’t be possible. Eclipses demand clear answers and lots of progress.”~Susan Miller Astrology Zone Go with the flow and allow the power of the moon to eclipse out that which no longer serves you and let go of your old life as you are transformed! The very special and rare planetary alignment occurs on June 5th or 6th (depending where you live). Venus in all her glory passes in front of the sun. She is too small to block out the sun however the sun will ‘light up’ energies of the divine feminine and the effects of this alignment are already being experienced by many. This event is so rare that there are only 6 on record since the invention of the telescope; 1631, 1639, 1761, 1769, 1874 and 1882, and 2004. You’ll notice that the transits come in pairs 8 years apart. The ancient Mayans said that Venus passing in front of the sun signifies a new consciousness being born and as with all births we’ve felt the pain that leads to a blessing. In 2004 the transit started humanity on a path of healing the divine feminine. The current transit is the culmination of that healing. Think back to what was happening in your life in 2004 and what has happened since. Take note of significant changes which have occurred. We will not see or experience another transit in our lifetime so take advantage of it, validate yourself and be aware of how much you have changed since 2004 as well as what’s happening in your life now. 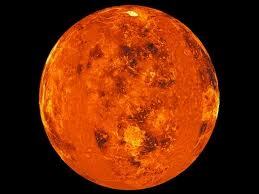 Venus represents the heart, relationships, compassion, love and beauty. We are moving into a time of honoring and awakening the divine feminine energies of passion & creativity. Venus also brings forth latent artistic abilities so this is the perfect time to ignite your passion and get your creative juices flowing! Venus is the feminine side of our being and the Sun is the masculine side of our being. Venus aligning with and passing in front of the sun is symbolic of our Feminine (Anima) and Masculine (Animus) energies coming into unity and balance. She reminds us to shine and integrate balance in all parts of our lives. Please note that Venus has been retrograde since May so if you’ve felt imbalanced and in effort the transit will open up a new level of consciousness. This gives you ample opportunity to re-balance and re-establish your footing before she goes direct on June 27th. Next Post Destiny is yours to create! Are you trying to control it? Great post! I am really looking forward to the Venus Transit and so excited about the potentials this brings. I can definitely see how this has influenced my own life since the first transit in 2004 and the healing of the Divine Feminine – incredible to see this as a process in my own life, and to realize this is likewise something occurring in the collective. Exciting times!